For some unknown reason (probably as simple as the wrong master being sent out), a few countries in europe received an alternate take of this track- peppier, a few seconds longer and in my opinion even better than the more commonly released British version. This is from the Swedish release, and it shows yet another side of the genius of this legendary group. 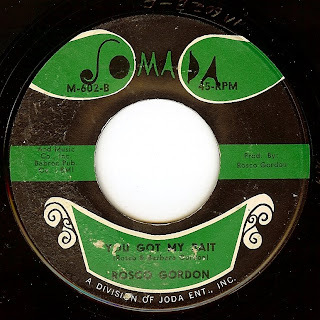 For whatever reason, this incredible side by the GODFATHER seems to have slipped through the cracks of becoming a "legendary" side in JB's massive catalog. 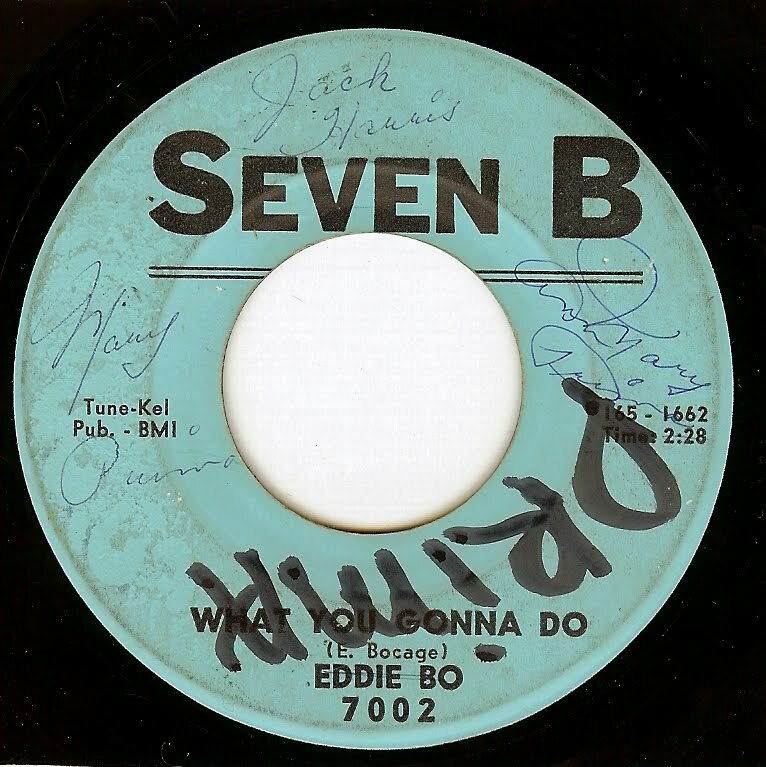 Strangely enough, this record made the POP charts at #77, but somehow MISSED the r&b charts. How strange is that? 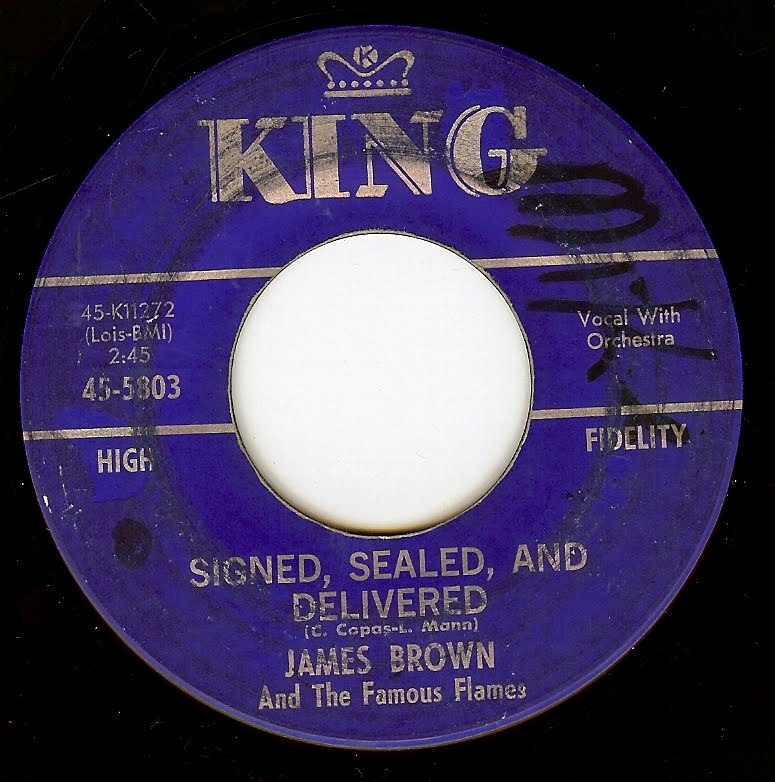 This song bridges the gap nicely between raw r&b and the groundbreaking nascent funk that James would lay out less than two years after this record was cut. An absolutely incendiary performance from JB. Just when I thought I'd heard every Eddie Bo track of note (thanks to originals as well as the swell reissues that have kept us collectors salivating), out pops THIS record which was unknown to me until a few months ago. 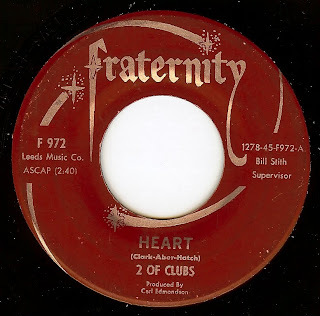 Suggested by the brother of Patti (of the Patti & Linda duo who made up 2 Of Clubs) after he heard the track as a Petula Clark b-side, 2 Of Clubs cut this astonishing debut single at King Studio, Cincinnati. Both Linda and Patti worked as singers at a Cincinnati nightclub called Guys & Dolls, and it was eventually suggested that the two sing together; a fantastic suggestion, as they voices blend together perfectly. The group cut a handful of great singles; most of which did well regionally (this one did big business in Chicago as well) but the group never had the push to national attention that they deserved. Read more about 2 Of Clubs at the always excellent Spectropop website. 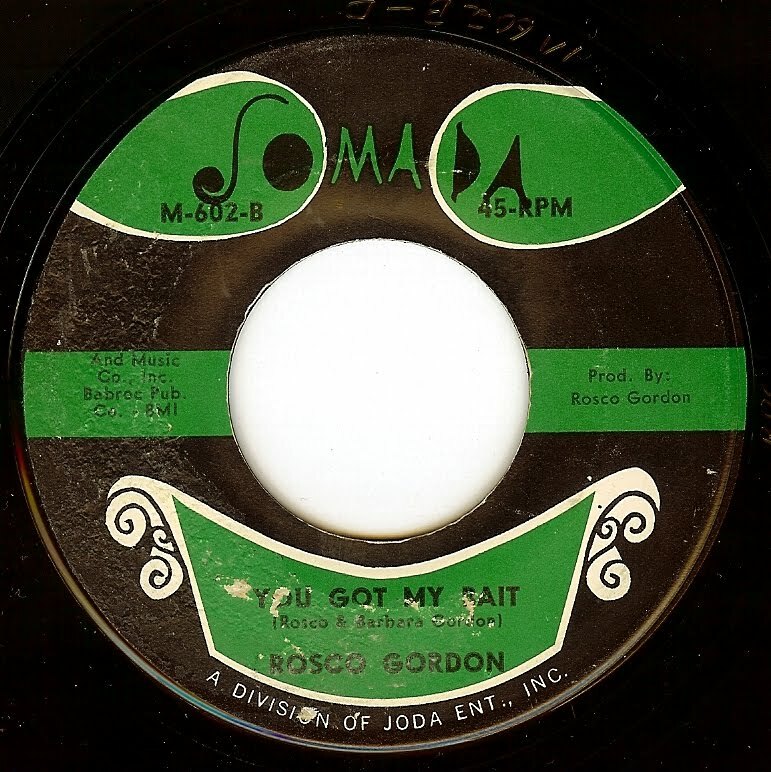 Allegedly named by George Clinton (after an actual hall in Chicago), this Detroit group shows a very strong P-Funk influence on this track (especially in the red hot lead guitar which is very reminiscent of Eddie Hazel). The LP that this song was taken from (Your Love Is My Desire) saw very little distribution outside of Detroit and in the interim years has become a massive collector's item (it has since been reissued). Seventies soul is sounding better and better to me these days. Made up of sisters Betty & Rose Collins, The Teen Queens cut a number of hits in LA starting around 1955, and by the time of this record Betty was 20 and Rose was 19. 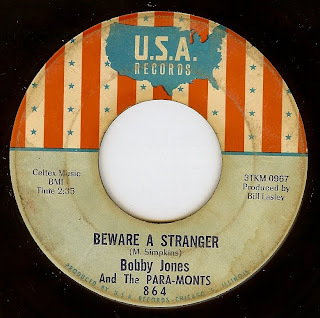 Written by the great west coast blues/ r&B legend Big Jay McNeely, this outright funky sides show the sisters had come a long way since "Eddie My Love" from just a few years prior. This was their third to last release as the Teen Queens, but they cut a few more sides as Betty & Rose. Sadly, both ladies succumbed to drug addiction and passed away many years ago. 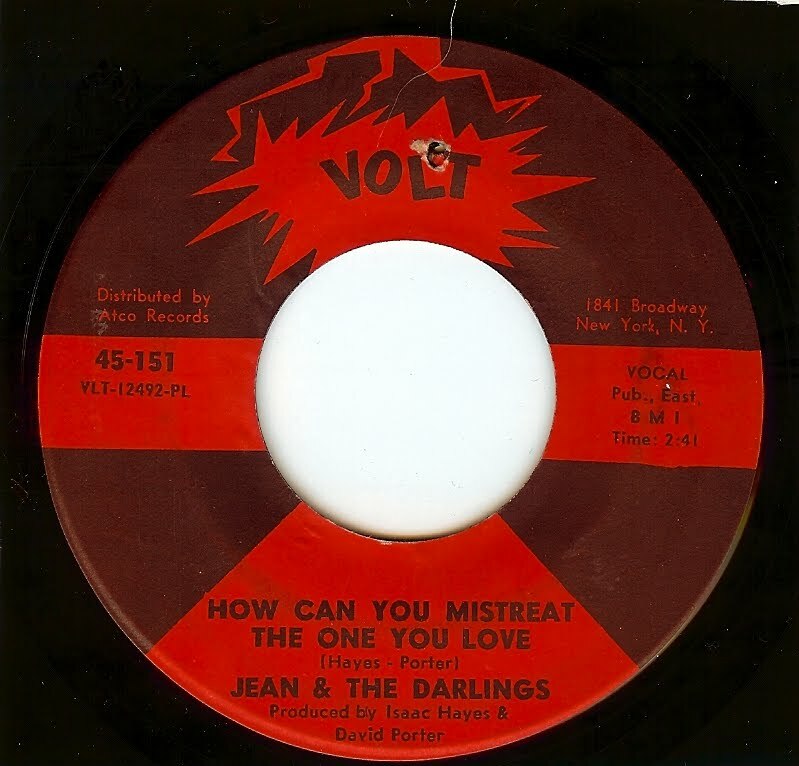 JEAN & THE DARLINGS - HOW CAN YOU MISTREAT THE ONE YOU LOVE? 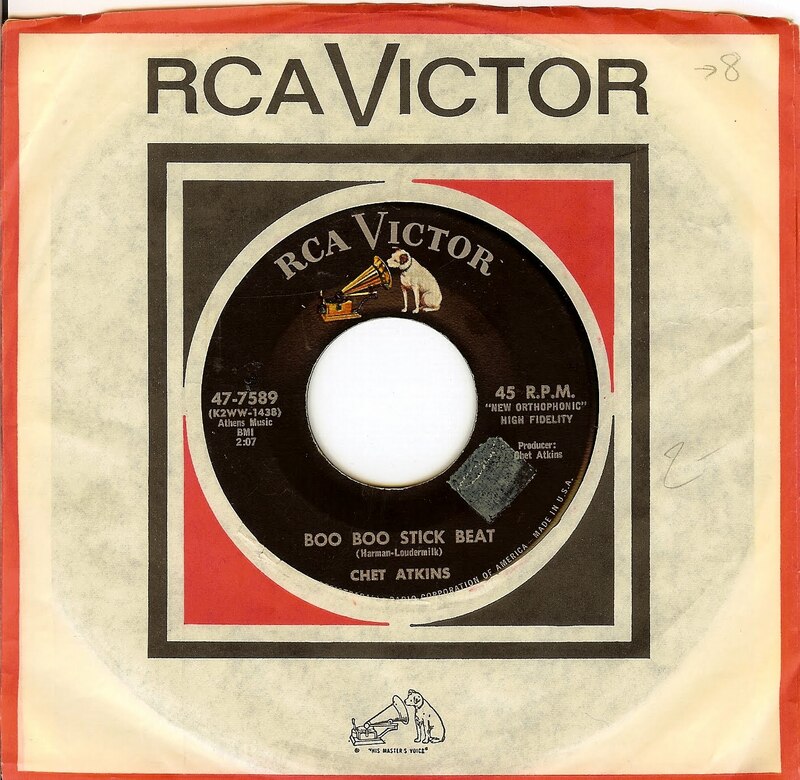 With such high quality of output, it was only inevitable that certain Stax/ Volt releases slipped thru the cracks and either hovered on the lower regions of the charts or never charted at all. 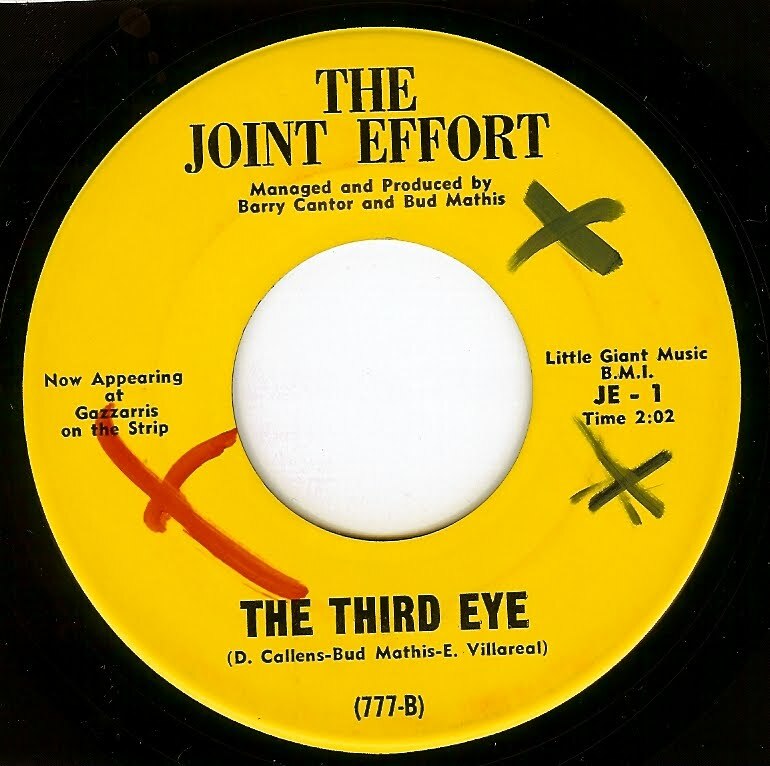 Sadly, this great track from this Arkansas based group was one such track. The group (made up of sisters Jeanne and Dee Dolphus, Jeanne’s daughter Paula, and family friend Phefe Harris) suffered no lack of talent, and the song (from the pen of Hayes-Porter) is infectious, catchy and driving. Don't you just love the 29c sticker on the factory sleeve? Two Sidewalks were drafted, which revamped the lineup and the band became ZZ Top in late 1969. 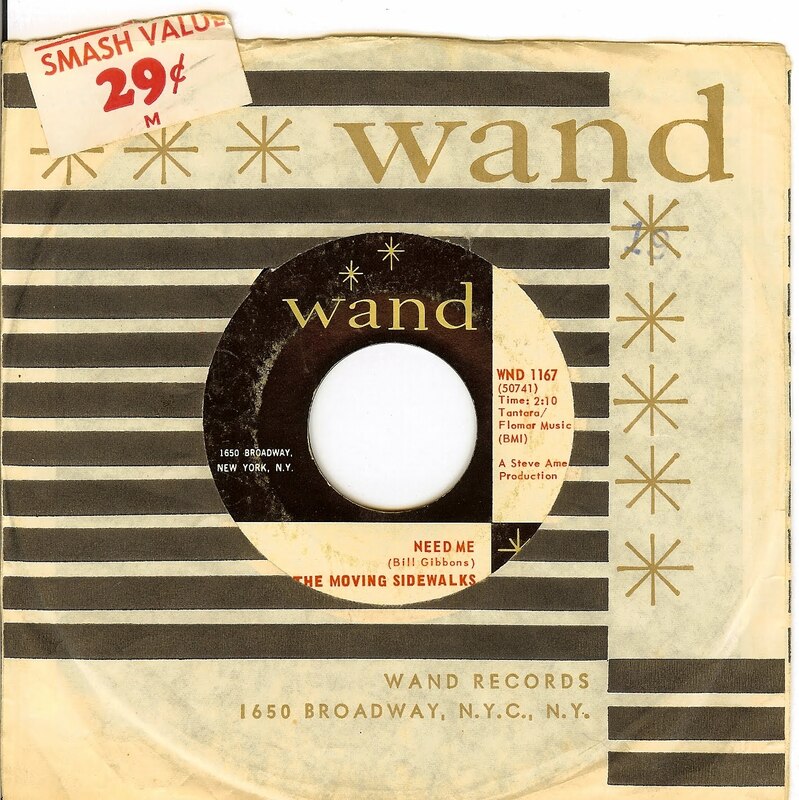 A great story, and the band's singles are the stuff of legend. "99th Floor" (a past 45 of the day) gets most of the attention as it has been on many comps (and for good reason), but this follow up is almost as grand. Featuring one of the greatest drummers in history (Sam Lay) and arguably the two greatest white US bluesmen (Paul Butterfield on vocals/harp, and Michael Bloomfield on guitar), the original Butterfield band was bursting at the seams with talent. 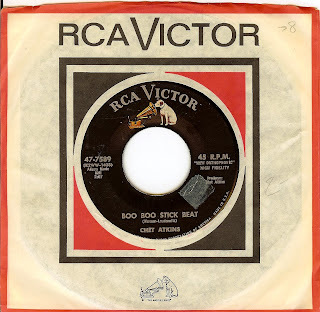 It's unclear when this single-only release was cut; some sources say before the 1965 self titled debut LP (relatively straight Chicago blues); but, as it seems to have been released shortly afterwords, it seems like a great transition piece to 1966's more experimental "East West" LP. 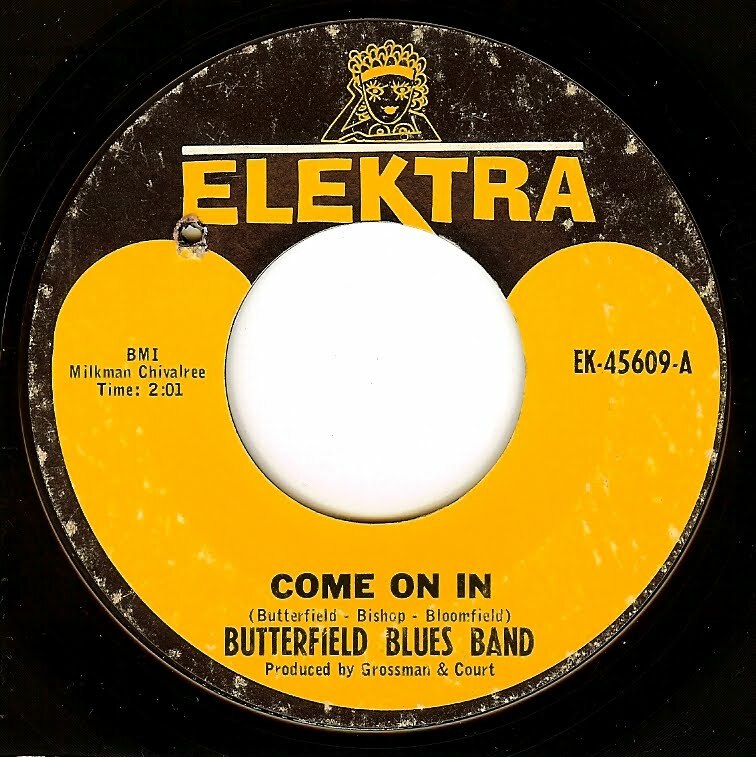 "Come On In" shows the band right at home with the then current soul/r&b market in this blazing 2 minute slab of soul/beat that was distilled through the funky waters of this great period of Chicago blues. I had an incredibly long day of travel yesterday, so in lieu of no post for Saturday, here are two lovely sides for today. This record is the epitome of pure class. 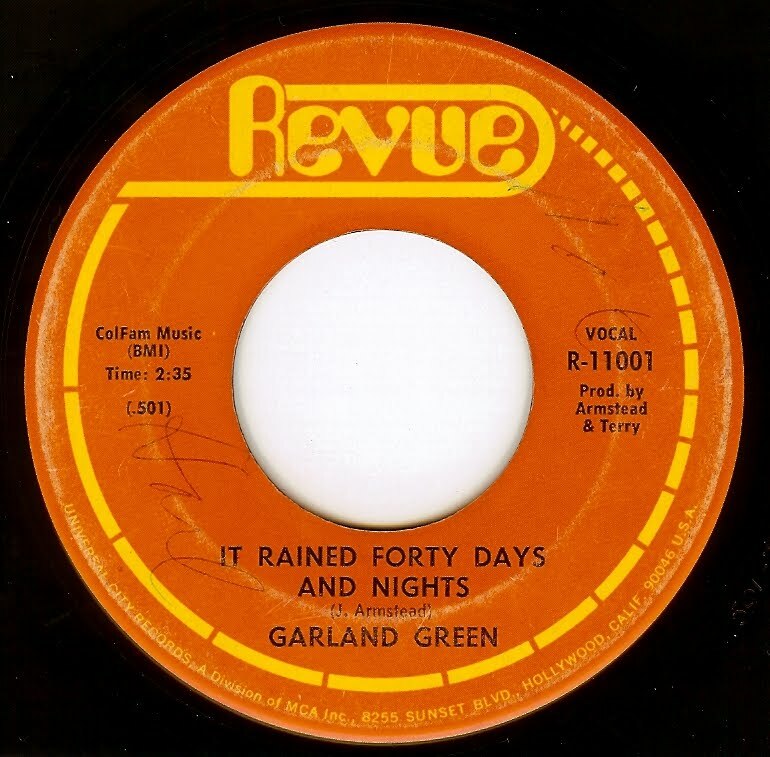 Both sides of this debut 45 show the southern roots and depth (Garland was born in Mississippi) with the upbeat urban Chicago sound (where Garland's family moved when he was 16), although the record was recorded in Detroit after Jo Armstead and her then husband Mel Collins caught Garland opening for Lou Rawls in concert. Lloyd Price has had an incredible career; not only as an excellent singer whose work was at the forefront of New Orleans r&b, he has also had second and third careers as record exec (he released one of Wilson Pickett's first records, f'rinstance) and a restaurateur and foodie. The stuff of legend! 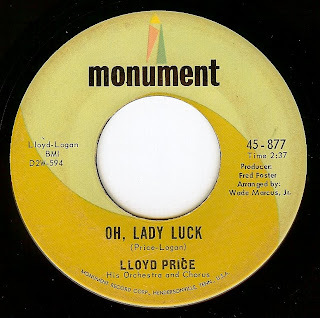 On this track, we find Lloyd adapting to the sounds of 1965 VERY well, and swinging like a pendulum! And how about those haunting backing vocals? YES. Hailing from (where else?) 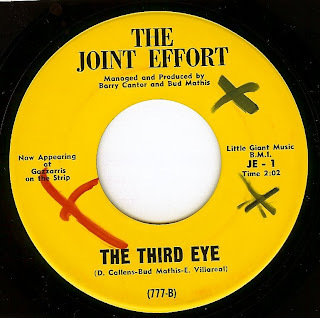 Chicago's south side, this excellent group started out backing the Syl Johnson produced duo Simtec & Wylie, and their downright raw funkiness draws parallels to the work of those heavy hitters. This is how I love my funk; with a great, catchy song behind the grunts, groans, breaks and hits. Brilliant stuff. I am writing from Nantes, France, so perhaps a more appropriate title is "Have A Little MERCI". And no; I am not above the occasional corny joke. 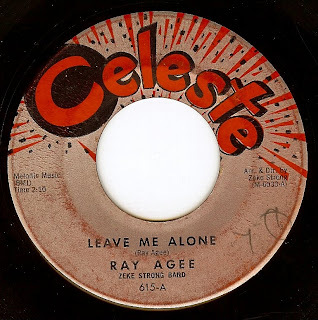 A journeyman in the truest sense of the word; brilliant vocalist Ray Agee (an Alabama native transplanted to Los Angeles) recorded dozens of records for almost as many different labels. Sadly, he was stricken with polio as a youngster and died far too young (age 60 in 1990). Thankfully, he left behind killer records such as this all-out groover. No, I haven't lost my mind and/or become a hippie! Seems as though very few people know that the Dead recorded one of THE greatest west coast acid-punk 45's, right up there (and similar in feel) to "7 & & Is" by Love. While they went on a completely different path, at least there's this blazing piece of evidence that these guys could really kick it out. 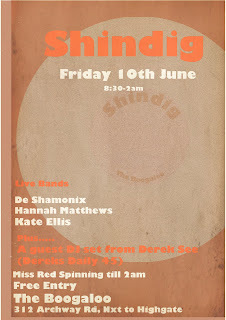 I shot some very grainy footage of the fantastic crowd @ The Boogaloo in London, June 10 2011. Thanks to Red, Lou & Gerry for having me; a fantastic time indeed! 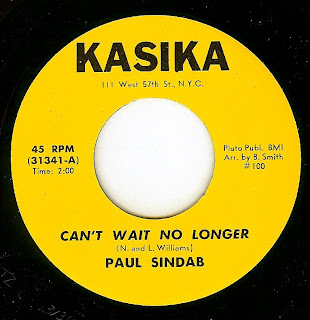 Other than the fact that I believe he was New York based, I know nothing of Paul Sindab, other than his small handful of collectable 45's. 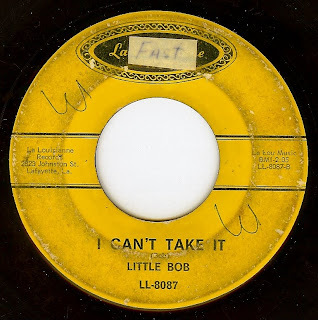 This record is yet another example of how, almost 4 years into this blog, the well of music from this era is so deep that gems such as this can still be posted from such a talented singer who never got the shot he deserved. As always, if you know any more, please don't hesitate to write. For those of you who dig drum breaks, there are breaks galore on this amazing side from Mr Guitar himself. From the primitive wah wah effect to those previously mentioned breaks, this track must qualify as the hippest record ever waxed with Chet Atkins name on the label. 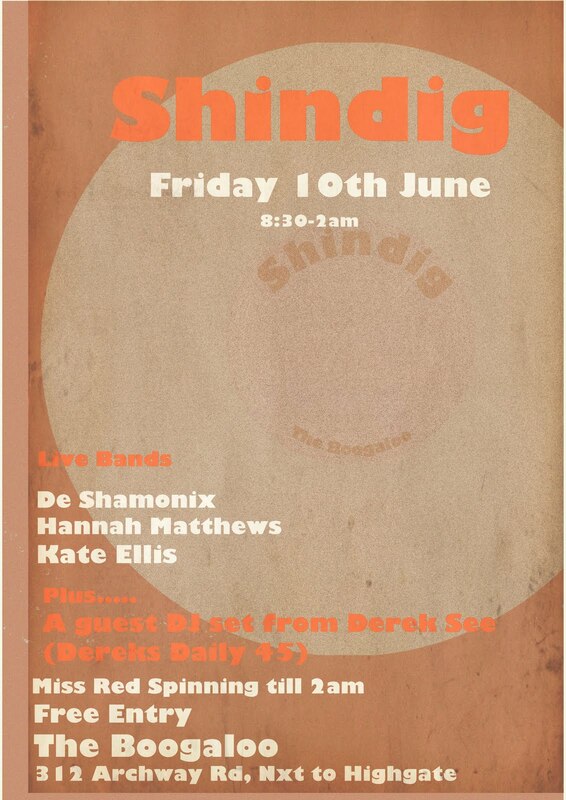 I'm pleased as punch to be spinning a set once again at the BOOGALOO (aka the greatest club in the world) as special guest of Red & Shindig! 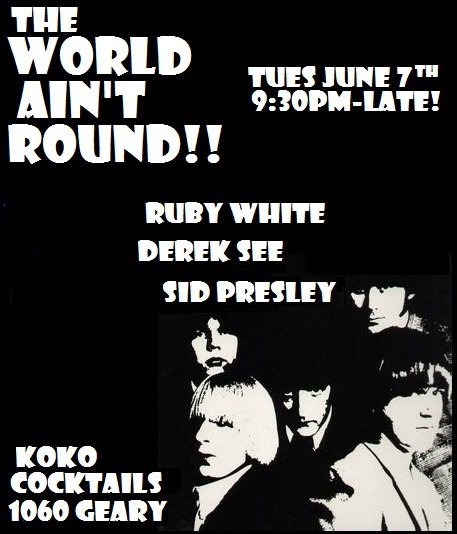 C'mon out for a smattering of soul, psych beat all from vinyl. Smack dab in the middle of the psychedelicized Los Angeles of 1967, this group were regulars at LA nightclub Gazzarri's (as stated on the label of this release). Seemingly, this song, with its references to mysticism (as well a group name that is a cute play on jazz cigarettes) should have been one of the anthems of the summer of love. Perhaps if it would have had larger distribution it could have. 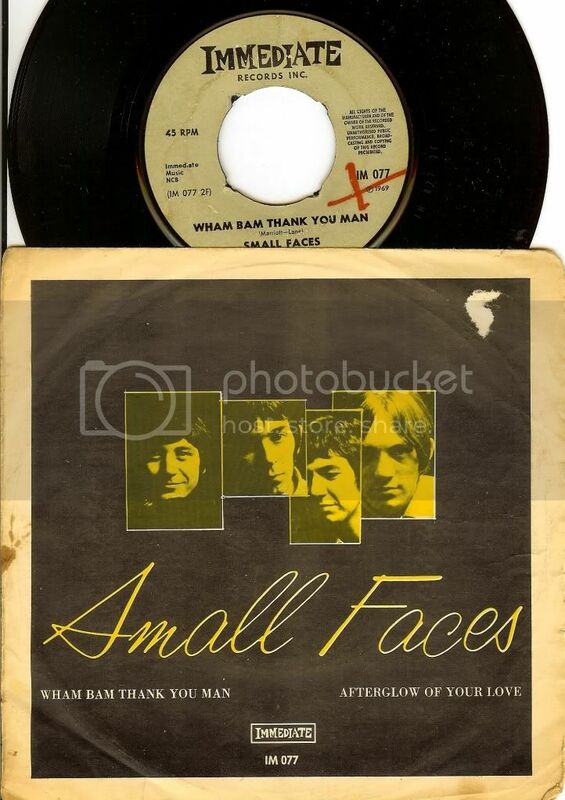 The group's club experience certainly paid off; their performance is TIGHT on this record with excellent harmonies and a pretty catchy song that invokes light shows, paisley, mini's and the feeling that anything was possible. Both sides of this record are inspired and gorgeous. 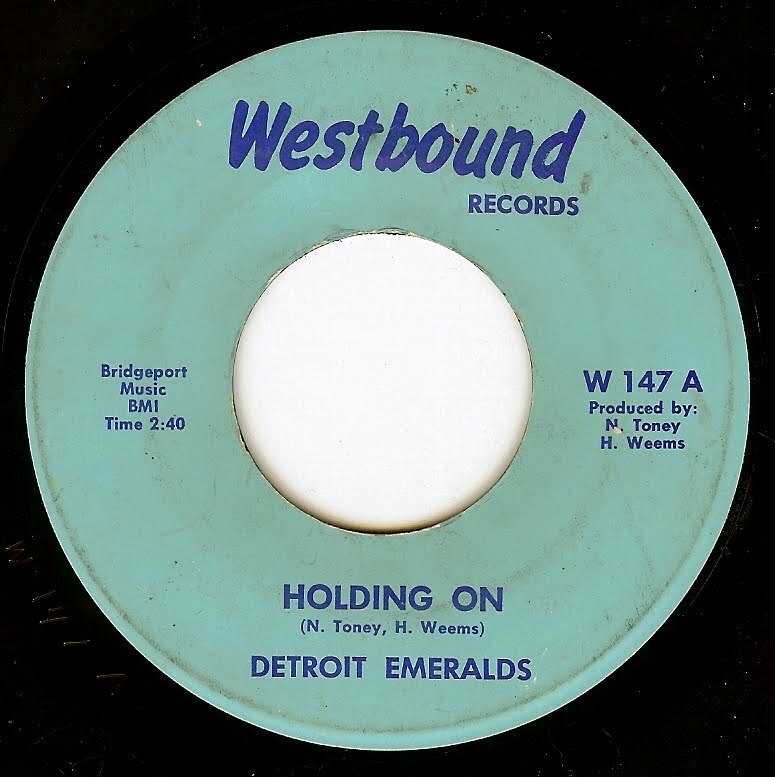 While not from Detroit originally (the group was formed in Little Rock, Arkansas and moved to Detroit) the group were a welcome addition to the motor city talent pool. This record was their debut for the newly formed Westbound label and (I believe) their second release after a one-off for Ric-Tic. This is the type of record that trumps EVERYTHING, so if you don't wanna feel its power I'm afraid you have no choice! 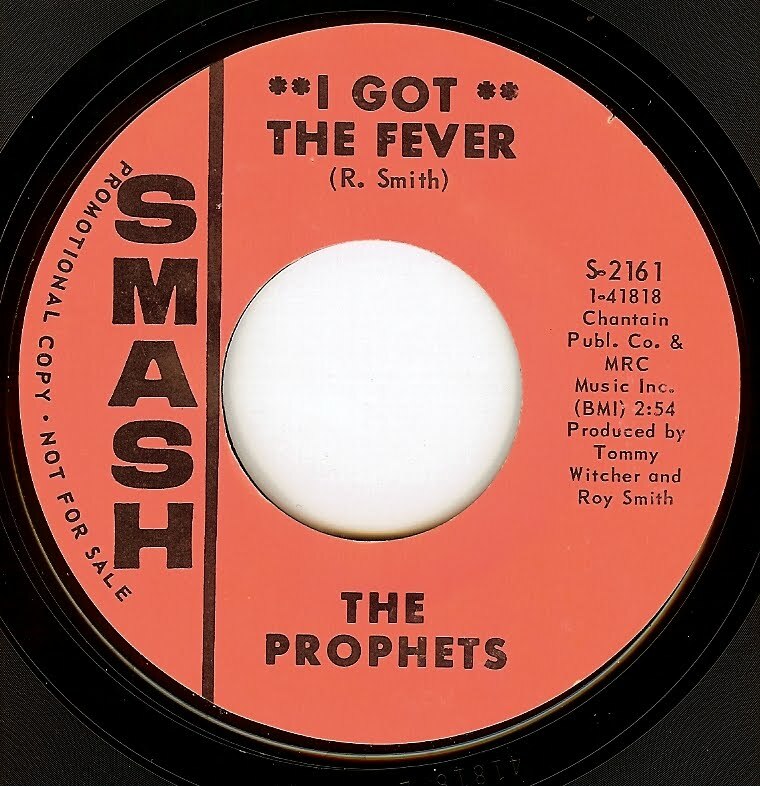 The Prophets (aka The Georgia Prophets), featuring lead singer Billy Scott, have had a long career in the southeastern US "beach music" scene (more or less the US equivalent of a northern soul scene). 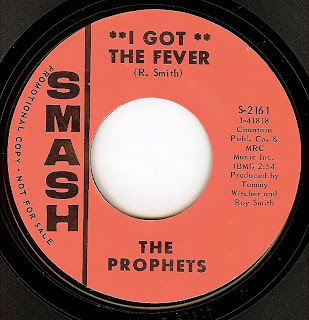 The Prophets are still active today doing their thing (after taking a break for a few years in 1985), and I would imagine that this record has been part of every set they've ever played since 1968. The song is infectious, the vocals are superb (both lead and the female backing) and the song is simply an outright stomper. I find myself really enjoying 70's soul these days more than ever, and I've been sitting on this record for quite a while and didn't feel it was daily 45 appropriate but HEY there's no rules around here, right? I'll definitely be featuring more 70's sounds around here in the future. 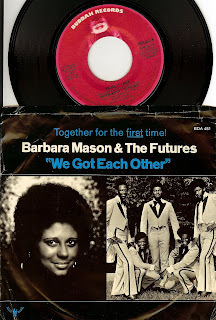 This record finds the queen of Philly soul backed up by the lush harmonies of fellow Philadelphians The Futures; the a-side is a gorgeous dream number, the b-side an uptempo mover. I'll be spinning the usual array of soul and psych/beat goodness @ KOKO COCKTAILS (1060 Geary, San Francisco) Tuesday 7 June! The day after my birthday so let's DEFINITELY make this a party like only San Francisco can on a Tuesday night! 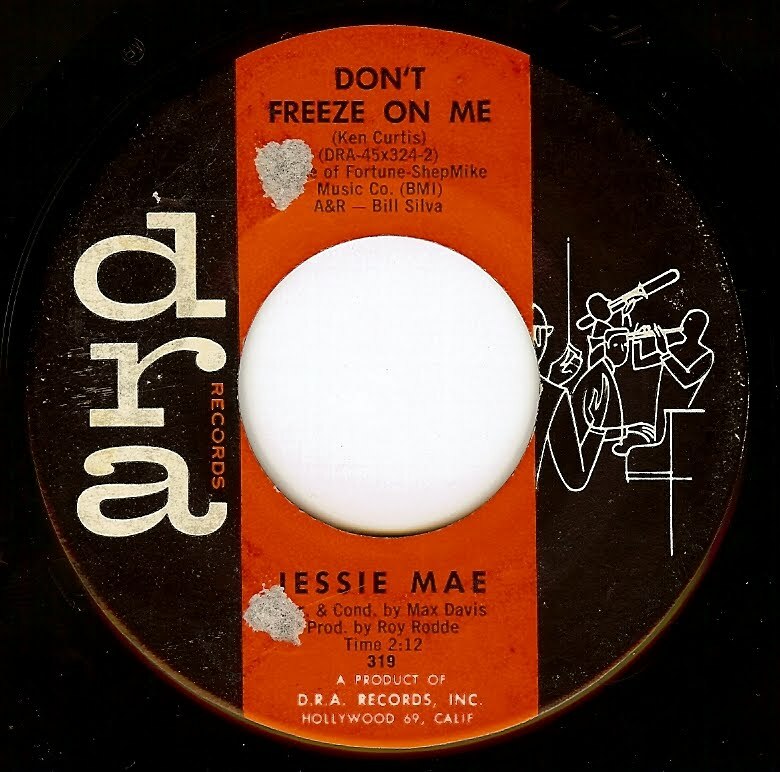 I'm afraid that I know nothing of the Jessie Mae heard on this recording (not to be confused with blues singer Jessie Mae Hemphill). Whoever this mysterious singer is, she delivers a STORM of a performance on this incredible record. 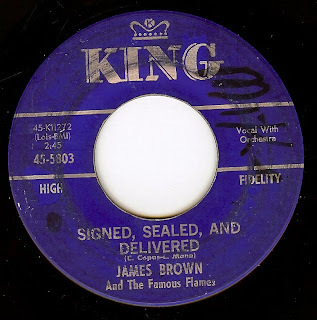 Thanks to google archiving old Billboard magazines, I learned that the DRA label A&R was run by DJ Al jarvis, who claims to have discovered Nat King Cole, Frankie Lane & Gogi Grant. He certainly found an INCREDIBLE singer in Jessie Mae. Please write if you know any more! 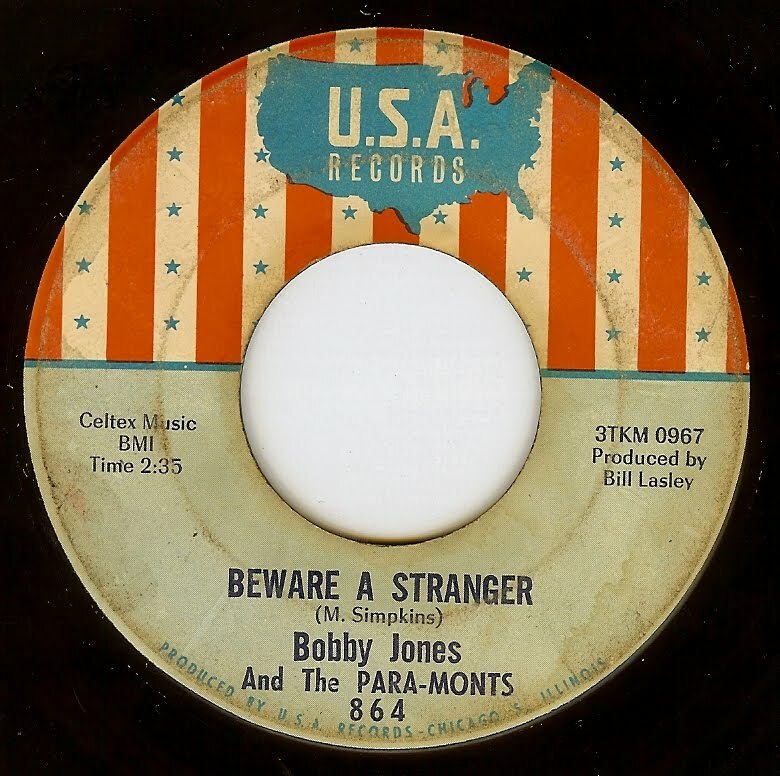 Louisiana native Bobby Jones grew up in (and still performs based out of) Chicago. This record beautifully merges his deep southern vocals with the uptempo, uptown Chicago soul-blues of this era that is simply sublime. There are so many incredible little touches in this record; the bongos, excellent female backing vocals, a great horn chart. I LIVE for this stuff. But you know that. While this group was from Florida, this record channels Motown (especially the drive and enthusiasm of Martha & The Vandellas) like nobody's business! The Mar-Vels worked as backing singers on many Miami sessions during their time together (c1962-c1969), and were renamed the Fabulettes when they were signed to Monument records (although they continued performing live as the Mar-Vels). Frank Dell was born in North Carolina, where he began his singing career performing throughout the south east. 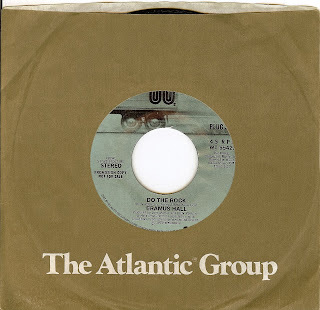 Eventually his group (The Essence) made it to New York City where they performed at the Apollo amateur night. Allegedly, the group was on to the fourth and final round when Frank had to return south to get back to college. 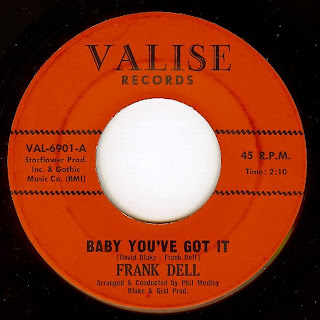 By the time of this record, Frank did find his way back to New York, where he still resides and continues to perform.